Britons rate reliability of their broadband connection ahead of speed and value for money. A survey of 4,000 users by Broadbandchoices.co.uk has 34 per cent suggesting that reliability is their main concern. This is greater than both speed of connection (34 per cent) and value (24 per cent). It comes as no real surprise that 47 per cent of respondents believe their ISP has not lived up to its promises, with 70 per cent of the disgruntled moaning about connection speed lies. 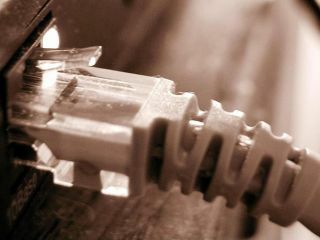 "It is surprising to see that broadband users valued connection reliability ahead of value for money, customer service and even speed of broadband connection," said Michael Phillips, product director of Broadbandchoices.co.uk. "Nine years after broadband was first introduced in the UK, it is troubling to find that nearly half of broadband customers claim that the service isn't living up to their expectations. "The main reason for dissatisfaction is overwhelmingly because of broadband speed, demonstrating that ISPs are still falling short when it comes to meeting their customer's expectations after advertising unattainable headline speeds in the media."